Books can only be returned with prior permission. Conditions: When requesting permission to return a product, please always state the invoice number and date. And the customer number. Date of Return:Invoice dates 3-18 months prior to claim. Authorization: Returns must always be accompanied by a copy of the invoice and a returns authorization number. The returned product must also be in a resalable condition. Bloomsbury Publishing Plc. is a leading independent publisher with offices in London, New York, New Delhi and Sydney. Bloomsbury’s Academic & Professional division publishes around 1,400 new titles a year. Acquisitions of Continuum in 2011 and of Hart Publishing in 2013 have added to a prestigious portfolio which includes Berg Publishers, Methuen Drama, The Arden Shakespeare and T&T Clark. 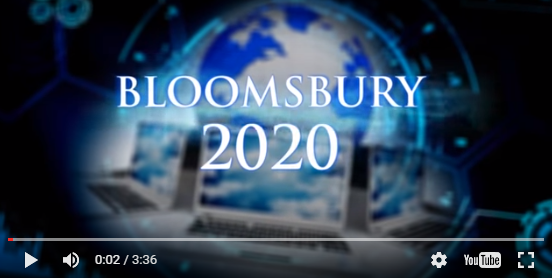 Bloomsbury is committed to providing its customers with content in a variety of digital formats, including eBooks, eBook collections, online libraries and apps.